Demystifying this gorgeous yoke. This course shows you a few methods from super easy to advanced. This dress pattern runs from age 1-2 up to 10-12. Sew a lovely Kitty dress or top today and create a fabulous, professional looking round neck tunic. 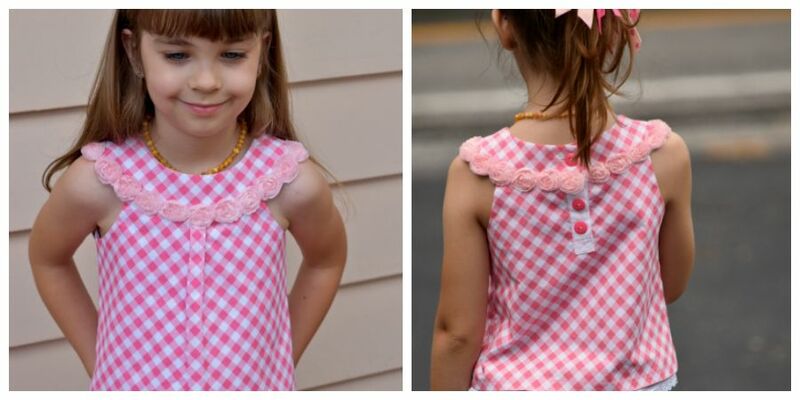 This is a casual top with just enough frill to make your little girl beam with joy! The round yoke, probably one of the more challenging methods of sewing, is more suited to intermediate sewing level, whilst the cheats version can easily be completed by a beginner. As a bonus you are going to learn how to avoid binding the armhole by using a light weight lining. The pattern runs from age 1-2 all the up to 10-12. It includes three different length options and the sewing course will show you how to sew a round neck whether you are an expert or novice. The pattern can be downloaded in US letter size and DIN A4. The pattern also has a slender and regular fit! Dieser Kurs enthält deutsch beschriftete Schnittmuster Alter 1 -12, ein E-Book und dazu passende Videos. Now is the time to learn how to do this fastening. It is actually quite easy when you know how. Step it up and make it like the professionals do. This is industries secret weapon! Once you watch my video you will see it everywhere! The cat pocket are just darling and included in the pattern pack.